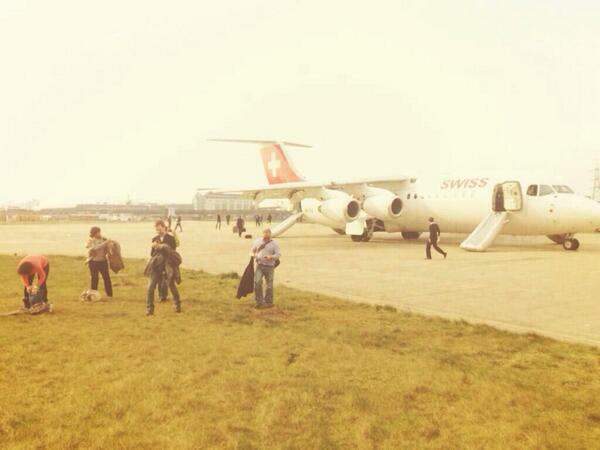 Swiss Air plane flight LX437 to Geneva developed engine problems on Thursday afternoon. Three people were injured after the Swiss International flight developed at technical fault on the runway at London City Airport. The flight was due to leave for Geneva at 3pm. It had 74 passengers and four crew on board. Seventy four passengers and four crew were evacuated immediately and three people were treated at the scene for minor injuries by the London Ambulance Service. The runway has now reopened. The runway is now open, but flights may be affected by the earlier disruption.